Bitdefender has released Bitdefender 2019 line of products. The latest offering includes products like Bitdefender Total Security 2019, Bitdefender Internet Security 2019, Bitdefender Antivirus Plus 2019 and Bitdefender Antifirus 2019 Free. In this article, we will share the online as well as offline installers of Bitdefender 2019 products. The new security line promises more advanced threat protection features as well as better performance as compared to the previous versions of the product. You can select anything from free antivirus to the top of the line Total Security. 1 Which product to choose for your protection? The new Bitdefender 2019 includes new features linke Network Threat Prevention which prevents vulnerability exploits, zero day attacks, botnet attacks and keeping sensitive information safe and encrypted. Which product to choose for your protection? Complete Support all the time. Online installers are useful when you have an Internet connection at your disposal. These online installers are small in size and will download and install the actual package after they are run. 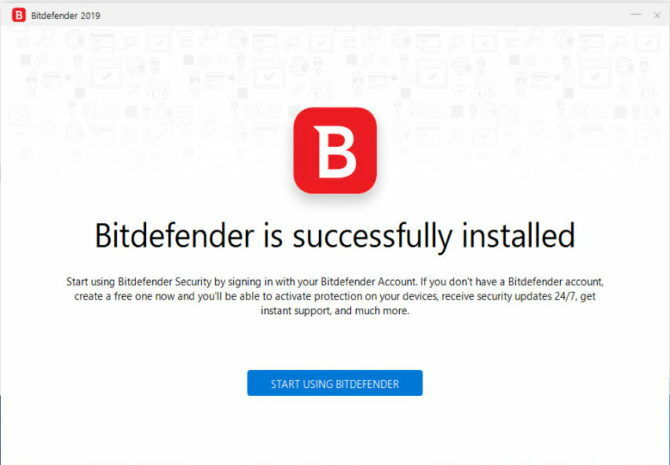 Before you can run and install the offline installer, you should first install the Bitdefender Agent otherwise you will get an error while starting the installation. When you run the agent, it will give an error that it has not been able to download the required files. Just cancel it and start installing the offline installer afterwards.